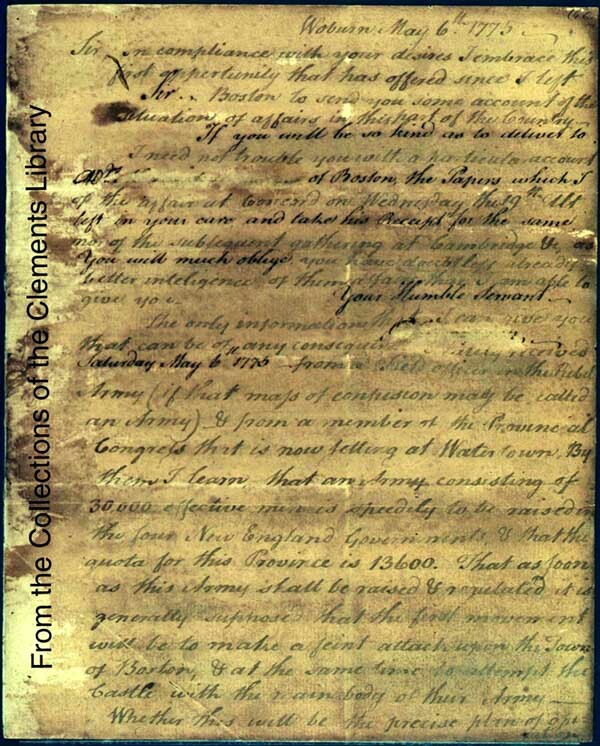 Invisible ink was a spy tactic developed by John and James Jay. Spies used this method to communicate messages to each other by writing the information on pamphlets, almanacs, registers, and in between lines of written letters (1). Invisible ink was composed of a mixture of ferrous sulfate and water. The ink was read by applying heat or a chemical reagent, such as sodium carbonate (2). Even though this letter is three pages long, the only valuable information is a four-lined hidden message. 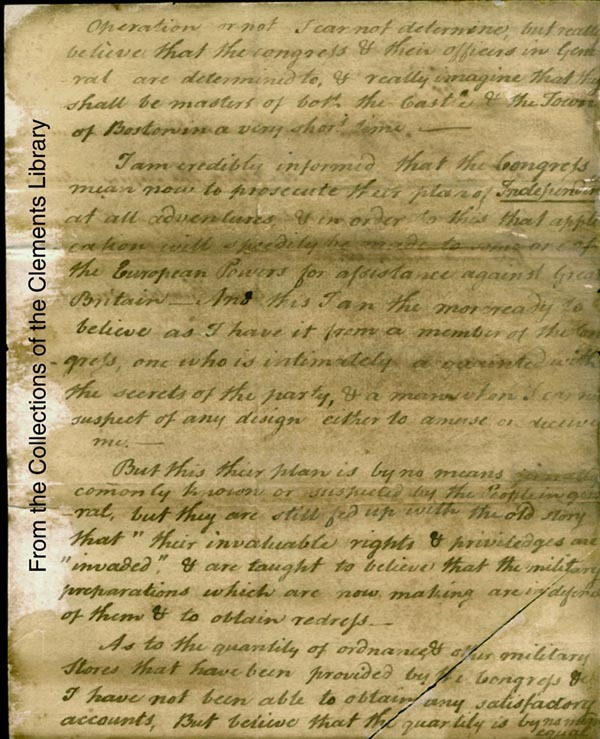 The message, from Benjamin Thompson, a loyalist, to an unknown source, was written in invisible ink. Although this letter is British, George Washington and his spy ring used this technique more often than the British army (4). 1. "The Culper Ring." 96-99. 2. Clements Library. "Secret Methods and Techniques." 3. 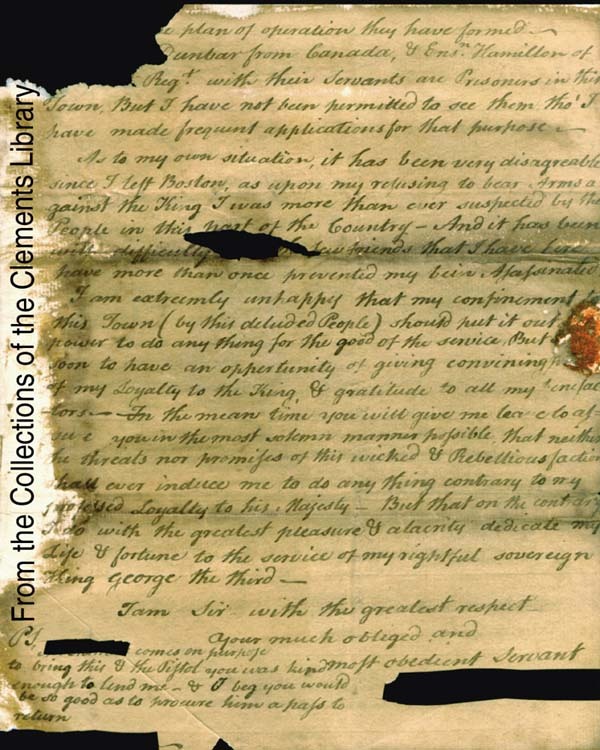 Benjamin Thompson, Letter, May 6, 1775, Gold Star Collection, Clements Library, Ann Arbor, MI..
​4. Clements Library. "Secret Methods and Techniques."